Home-Buying Regrets: Two Military Families' Sagas Home values nationwide have fallen more than 30 percent since the height of the market, which means millions of people are underwater on their mortgages. But military families can't control when they get orders to move. So one family has let its house go into default — and another is living apart, for now. 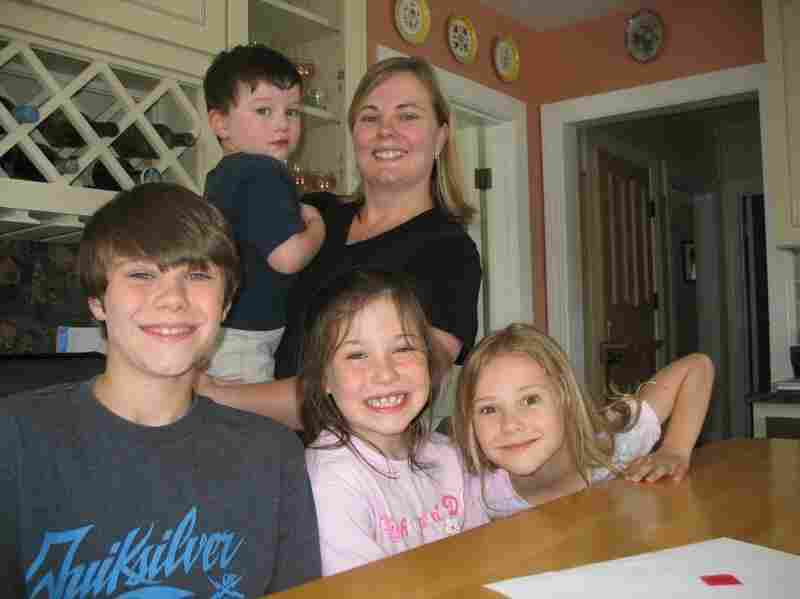 Sarah Bullard with her four children, Liam, Fay, Olivia and Joshua. They bought a house in Bristol, R.I., but then Bullard's husband got orders to work at the Pentagon. So now they live apart. It's lunchtime, and Sarah Bullard and her four kids gather around the island in the kitchen of their Bristol, R.I., home. Her husband, a Navy officer, is out of town. This kitchen is what sold her on the house on a snowy December day. "We walked through, and it was a cluttered mess," Bullard says. "And we sort of looked at each other and walked through into the kitchen, and my husband looked at me and was like, 'Uh-oh. This is it. It's a beautiful kitchen.' "
Now Bullard wishes she had never seen that kitchen. Buying the house turned out to be a huge mistake. Five years ago, it seemed like the right time for the Bullards to buy, after renting for a decade. Thousands of military families did what the rest of the country was doing: They bought a home. It didn't matter that they were moving every few years; home prices were only going up. "It was seen as an investment," she says. "And we had many friends in this town, in particular, who bought and sold within two years, and did so very successfully." How times have changed. Home values nationwide have fallen more than 30 percent since the height of the market, which means millions of people are underwater on their mortgages, owing more than their homes are worth. The difference for military families is they can't control when they get orders to move. Military families call us in a panic talking about how they are not able to sell their homes, they have orders to move and their house is underwater and they just don't know what they're going to do. "Especially during this time of year, when we are in the peak moving season, military families call us in a panic talking about how they are not able to sell their homes, they have orders to move, and their house is underwater, and they just don't know what they're going to do," says Katie Savant with the National Military Family Association, an advocacy group. There aren't solid numbers on exactly how many people have been affected. But for a time, the Department of Defense had a program to help military families who have to move in a down housing market. Some 10,000 homeowners applied for the program, which has cost about $1 billion. But it isn't likely to be renewed, which means that for those moving now, there aren't a lot of good choices. "Big sigh. I mean, it's to the point where we're about to drown," says Mindy Nichols. She and her husband are desperately trying to sell the townhouse they bought back in 2005 before he enlisted in the Army. "We were a young family," she says. "We didn't want to live in a two-bedroom apartment, so we ended up buying a fairly humble home." The house is in Pennsylvania. She and her husband and their three daughters live in Fort Campbell, Ky. They're actually about to move again. For a couple of years now, they've been paying the mortgage on that empty house in Pennsylvania. They just decided to let the house go into default, though they are still hoping to sell it. "I don't see us buying a home again anytime soon," Nichols says. "We'd just love to live on post and be tenants and not have the responsibility of property ownership anymore." For the Nichols family, this was a no-win situation. And it's the same for other military homeowners facing a move with an underwater mortgage. Let the house go into foreclosure, or sell it for a loss. Rent it out, often for a loss. Or live apart. That's what the Bullard family has chosen to do. 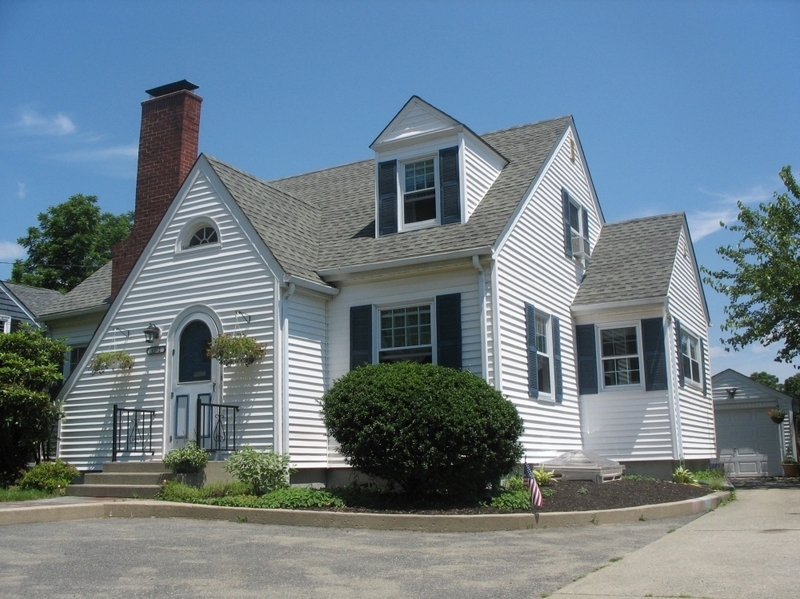 When the Bullards bought their home in Rhode Island, they had no idea they'd regret the decision. A year ago, Sarah Bullard's husband got orders to work at the Pentagon. That's why the family eats a lot of meals around the island in that nice kitchen without him. "We always said that no matter what, we would keep the family together," Bullard says. But the house meant they couldn't — Bullard is still trying to explain that to her kids. "If we sold this house, it's going to cost a lot of money, right?" she says. "That's why we're here and Daddy is in Washington." Actually, he rents a room in a house in Maryland and commutes to the Pentagon. And when he can, he flies home on the weekends to see Sarah and their four kids in Rhode Island. "And my 3-year-old will tell me, 'Let's go to the airport and get Daddy,' " Bullard says. "He thinks Daddy is just at the airport, because that's where we go get him from." He'll be flying back and forth for a while longer. His assignment to the Pentagon is scheduled to last another two years.